Key Difference: GrihaPravesh and VastuShanti are related to a well know ceremony which belongs to Hindu rituals. GrihaPravesh is performed for purifying a space before starting to live in it. 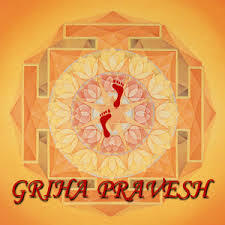 Vastu shanti is a puja (prayer) which is performed as part of the GrihaPravesh Puja. It includes a homa which is performed in order to create a peaceful environment and keep away the negative forces. GrihaPravesh and VastuShanti are basically words which are associated with the GrihaPravesh or House warming ceremonies. These words are associated with well-known Hindu rituals and customs in which one seeks the blessings of gods and planets before starting to live in a new house. These are basically ceremonies held on the occasion of one’s first entry into a new house. An auspicious day is decided by a Hindu priest. He calculates this day be analyzing the astrological chart. This has been a very old practice and has been practiced since the Vedic times. This ceremony is conducted in order to please gods and get their blessings. It also indicates avoiding the negative forces. Apoorva – it indicated first entry to a newly constructed house on a newly selected land. Sapoorva – It indicates the entry into an existing house after some time due to reasons like migration or travel to abroad. Dwandwah- It indicates the entry into a house after some keind of renovation of reconstruction done to the house. VastuShanti is one of the two main essential ceremonies included in GrihaPravesh. The other one is called Vastu Pooja. In vastu shanti, a havan or homa is performed for creating a peaceful environment and also restraining the negative force. The word ‘Vastu’ is actually an ancient vedic science based on spatial arrangement, like Feng Shui. It deals with influences of the environment and thus it tries to balance and harmonize all aspects of environment. It starts with the pooja (prayer) of fire god. It is a worship of deity of direction as gods. It also worships the five basic elements of nature which are Aakash(Sky), Vaayu(Wind), Paani(Water), Agni(Fire) and Pruthavi(Earth). It rectifies if there are any tyes of defects related to Vastu in the space. Some special mantras are chanted along performing a Hom Havan. It is an elaborated ceremony and may take even about half of day. Grah Pravesh ceremony is celebrated with family and friends where an arrangement of food is also made. Sometimes, special invitation cards are also used to invite guests. Griha pravesh is a well- known ceremony based on Hindu rituals and customs. It is performed for purifying a space before starting to live in it. Vastu shanti is a puja which is performed as part of the Griha Pravesh Puja. It includes a homa which is performed in order to create a peaceful environment and keep away the negative forces. It is believed that performing the pooja on a specific month brings specific results – for example a griha pravesh in the month of Magha leads to gain of wealth. In Jyestha it brings gain of son and cattle. In totality it bestows purity, harmony and peace on the house or new building. Removes negative influences & bestows harmony in a living/working space. It worships the five basic elements of nature and deity of five directions along gods. From Sanskrit words Vastu meaning a dwelling or house with a corresponding plot of land + śānti‘ meaning peace, tranquility.